Road School and believed that it would be a great project. When Yorke Road School came up for sale I managed to outbid developers and secure the building. The first job was to advise local neighbours of my plans and this is when I discovered the huge level of local support and love for the old school. My first week was spent tidying and securing the building and throughout the week I was visited by local residents and members of both the Residents Association and Parish Council. 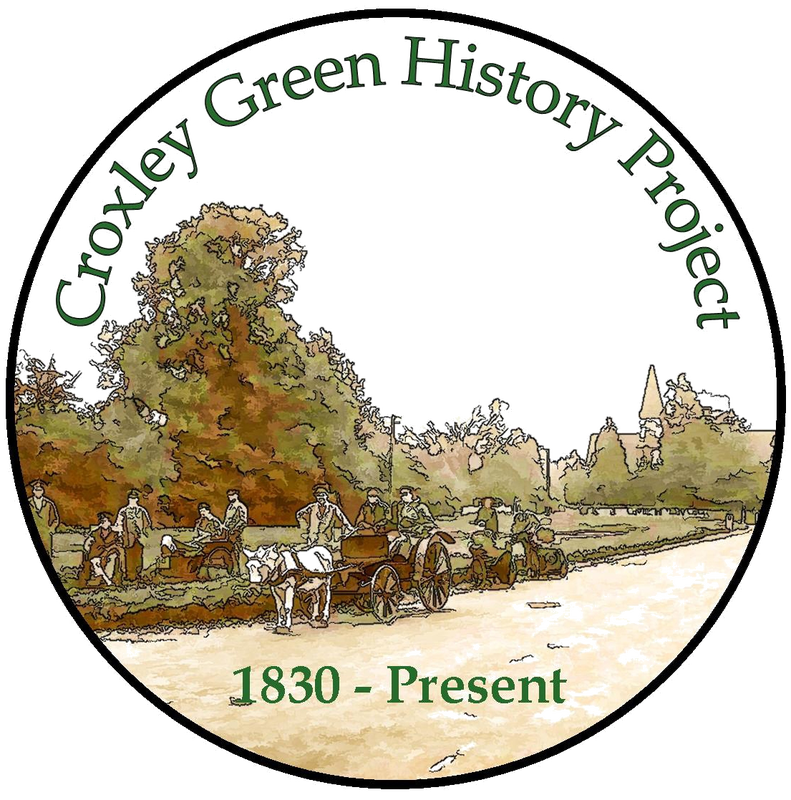 The support I have received from local residents and organisations has been much more than I could have wished for and it makes me even more passionate in making a lasting historical legacy for Croxley Green. 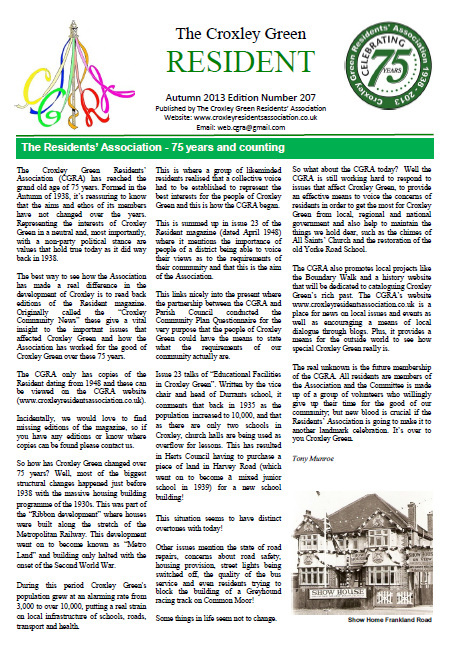 I am keen to keep everyone updated on my progress and any updates will appear on the CGRA website. 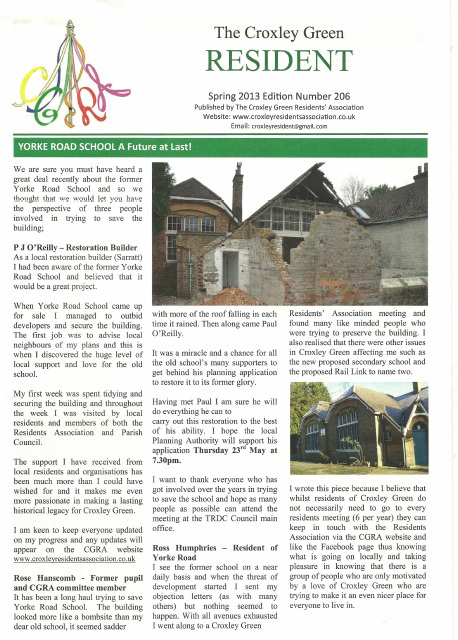 Rose Hanscomb - Former pupil and CGRA committee member It has been a long haul trying to save Yorke Road School. The building looked more like a bombsite than my dear old school, it seemed sadder with more of the roof falling in each time it rained. Then along came Paul O'Reilly. 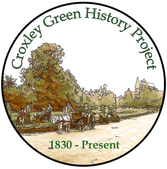 It was a miracle and a chance for all the old school's many supporters to get behind his planning application to restore it to its former glory. Having met Paul I am sure he will do everything he can to carry out this restoration to the best of his ability. I hope the local Planning Authority will support his application Thursday 23rd May at 7.30pm.